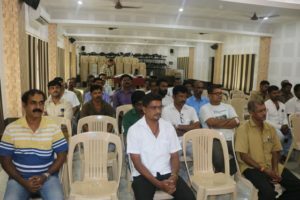 The private school transport vehicle drivers meeting was called by school management on 31.07.2018 at 10.30pm sharp held at A V Room. 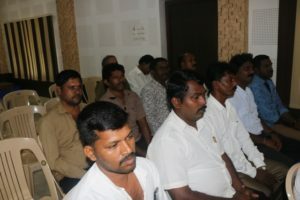 41 private transport vehicle drivers participated in the meeting out of the 56 registered members. The breakfast was served for all the attending members. The session started with a gracious prayer session conducted by Sir Roshan Cordiero and his team of students. 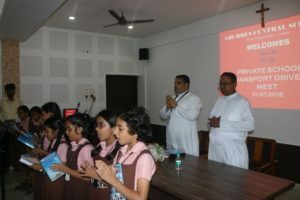 Rev Fr Robert D Souza, Principal Lourdes Central School and Rev Fr Wilson L Vitus D Souza, Manager Lourdes Central School chaired the meeting. 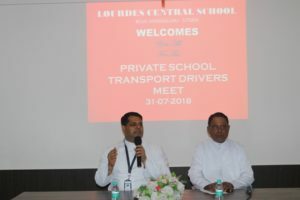 The meeting was conveyed for keeping the private school transport vehicles drivers informed and updated about the changing rules and guidelines of traffic police department and issues related to student safety at school. 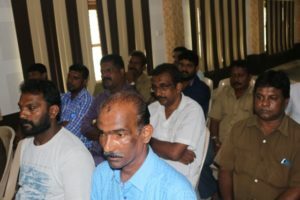 In the meeting the matters related to responsibilities of these private vehicle drivers towards the rules and guidelines lay down by the school management, towards the safety of students in their vehicle and in the campus were also conveyed. 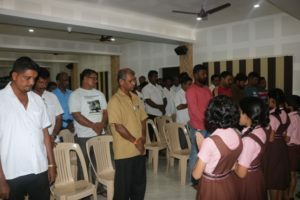 The Behavior and attitude check while communicating with students, especially girl students and with parents, was also the topic of this meeting. 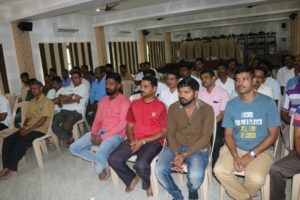 In the meeting the matters connected with the guidelines issued by the Police Traffic Department also was conveyed to all the private drivers. The limit of students to transport, the installation of ON SCHOOL DUTY board in the vehicle in front as well as on rear side, etc matters were conveyed to them. They were also conveyed to provide the details required by the school management mandatorily as per the request of police department to secure the identity of drivers entering the school campus. The private transport vehicle drivers too expressed some of their personal concerns with the traffic management and traffic arrangements at campus. 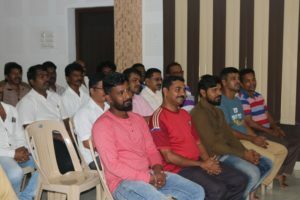 The drivers also appreciated the involvement of school management in responding to the matters related to traffic and students safety and thanked the management for the specious possible parking arrangement provided for everyone. The meeting came to an end with Principal LCS expressing that the safety of the student is the prime objective of the school management and also of each and every one of us, be it drivers, staff of school or parents.